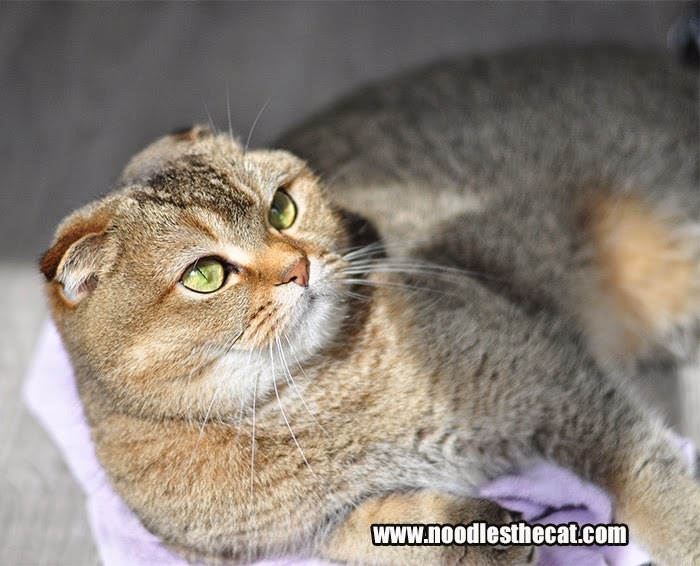 I IZ NOODLES THE CAT: 10 fun facts about Noodles! 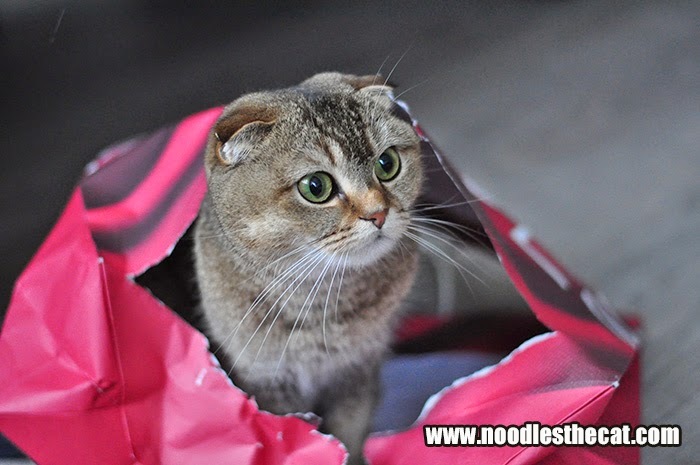 10 fun facts about Noodles! 2. 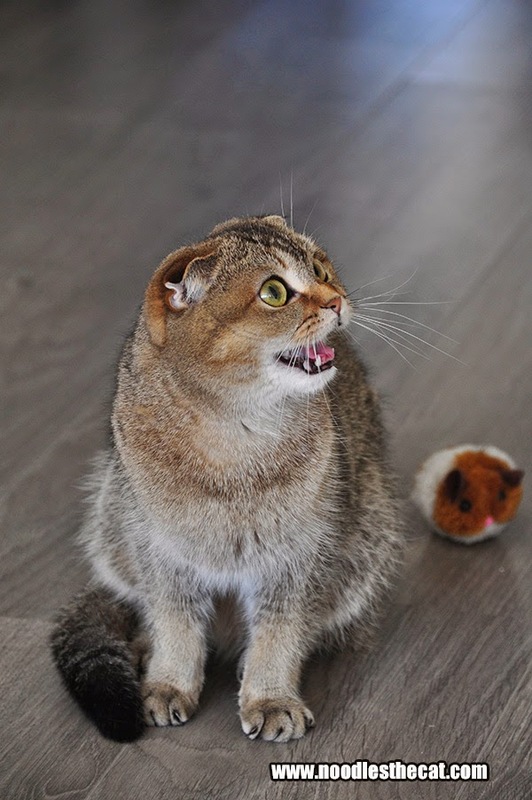 Noodles is a chatty kitty. 3. 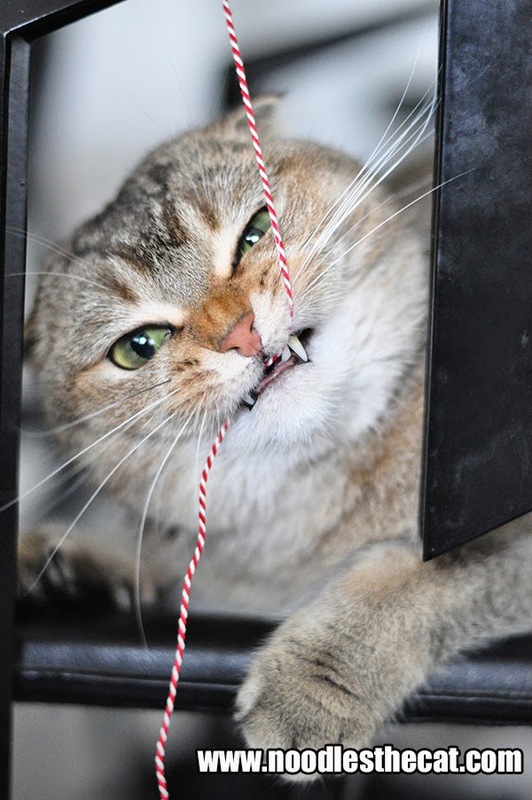 Noodles believes in good dental care. 4. 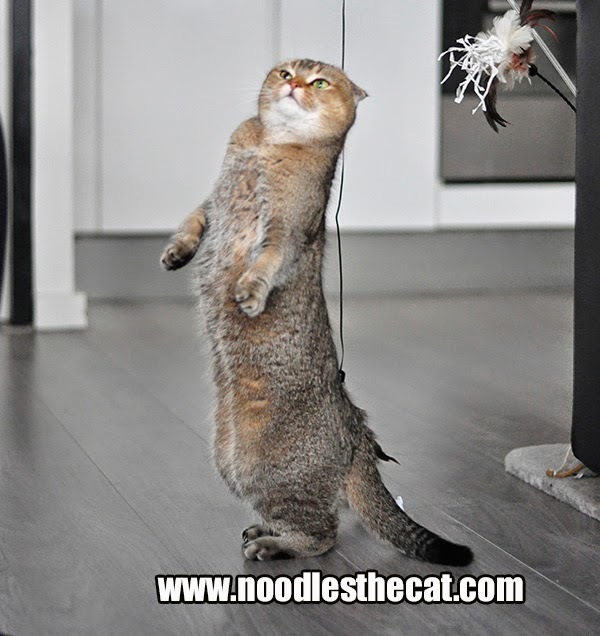 Noodles is a qualified kung fu kitty! So we meet again, evil stick! 5. 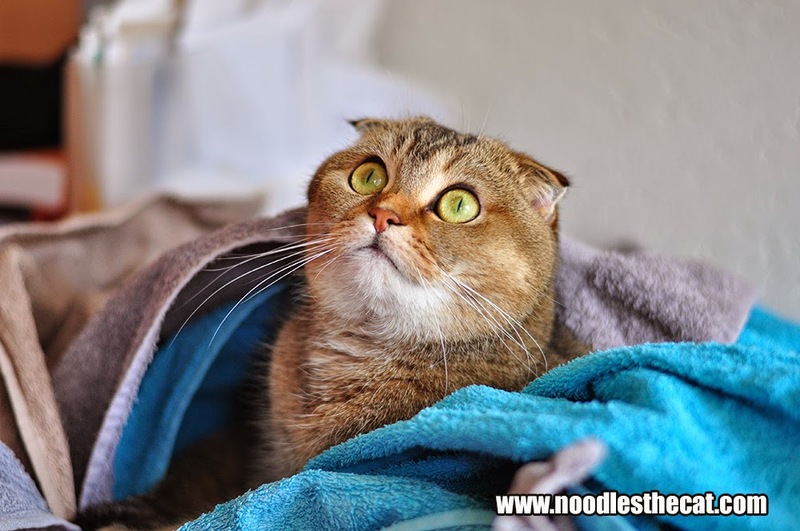 Noodles can't resist a bed of towels. This is the best bed ever!!! 6. Noodles eats her greens. 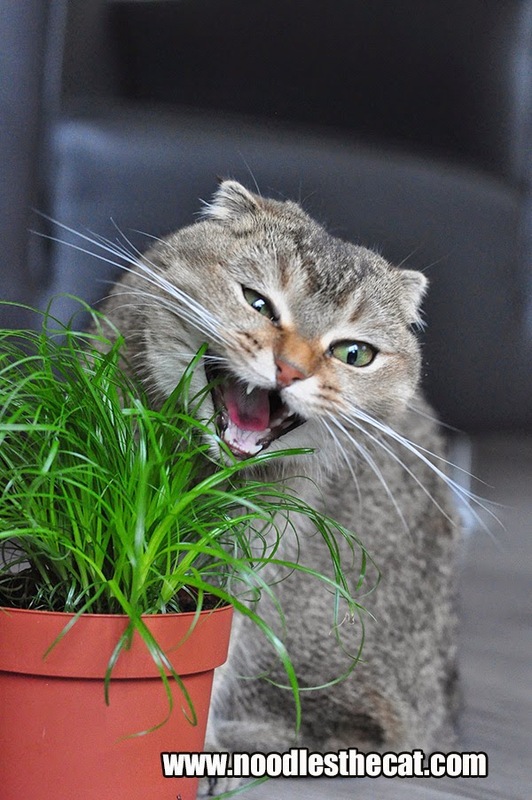 Eat your greens to stay healthy! 7. 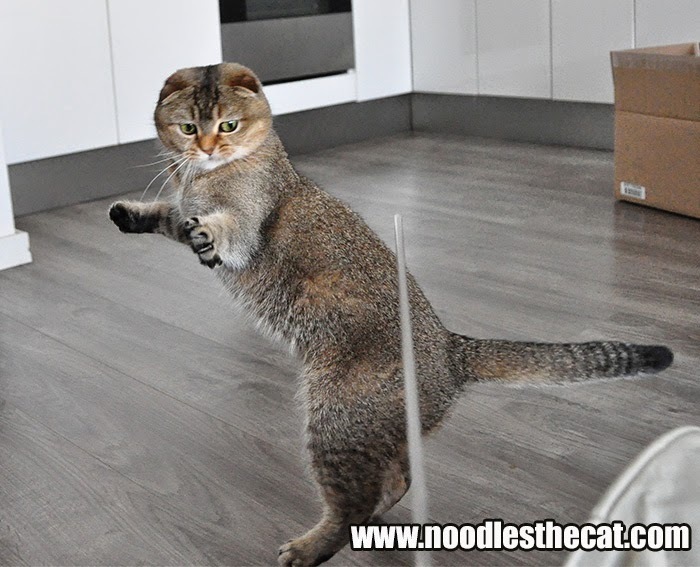 Noodles can stand on hind legs. 8. Noodles likes a good bag for biting and hiding. 9. Noodles enjoys the sun. 10. 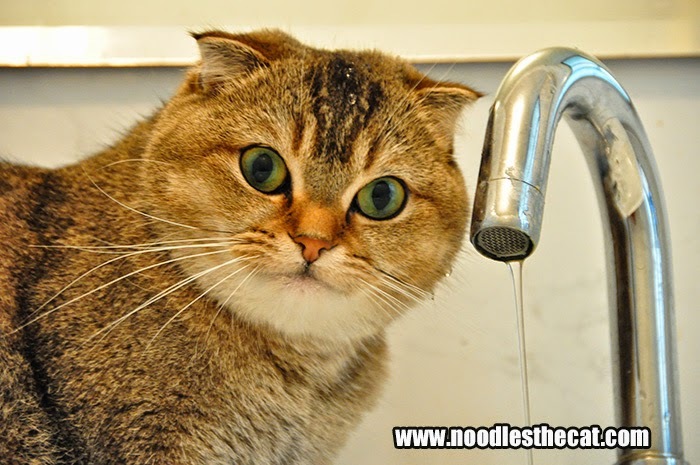 Noodles likes to get wet. Fresh water is the best! I can relate! My kitties HATE to get wet, except when it's getting a drink from the faucet. Then you could run water all over 'em as long as they get a drink of that water!